Material: Coated fabric / Cottan Canvas / Jute / Nonwoven / Canvas / And many more. Known in the industry as a prominent organization, we are offering Pass Covers at very reasonable price. 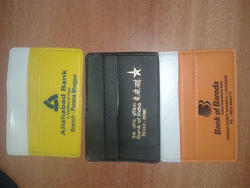 Keeping in a state of harmony with time, we can offer PVC Bank Passbook Cover to our supporters. 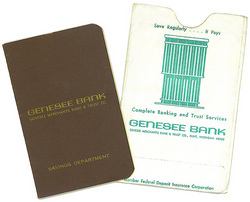 We are highly acknowledged organization engaged in presenting remarkable range of Bank Passbook Cover. All the ATM pouches and pass book covers.for all the Nationalised Banks as per their Requirment.